1. What is the Steplist? 1. What is the FBS technique? 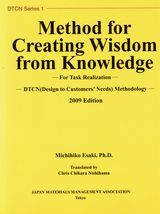 Column 4 : Why is this book a “Method for Creating Wisdom from Knowledge” ? Copyright ©2000 Japan Materials Manegement Association All Rights Reserved.